→ Strange Sports Stories (1°) #1 (1) (09/73) Baseball - To Beat The Devil! → Strange Sports Stories (1°) #1 (2) (09/73) Bowling - A Tall Tale Of Tenpins! 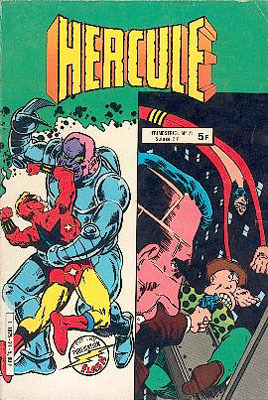 → Strange Adventures (1°) #147 (1) (12/62) The Dawn-World Menace! → Mystery In Space (1°) #27 (2) (08/55) Mystery Of The Runaway Meteor! → Strange Adventures (1°) #63 (2) (12/55) The Sign Language Of Space! → Mystery In Space (1°) #78 (2) (09/62) Gateway To The Stars! 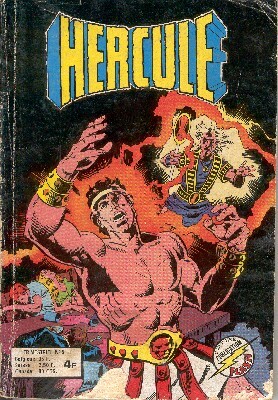 → Hercules Unbound #6 (08/76) Even A God May Die! → Adventure Comics (1°) #266 (3) (11/59) Green Arrow - The Case Of The Vanishing Arrows! → Shazam! #25 (1) (09/76) Isis - Isis... As In Crisis! 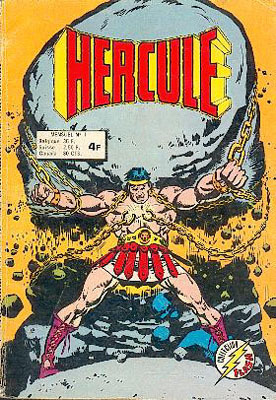 → Hercules Unbound #7 (10/76) To Slay A Legend! → Strange Sports Stories (1°) #4 (1) (03/74) Basketball - The Challenge Of The Faceless Five! → Strange Sports Stories (1°) #3 (1) (01/74) Football - Gridiron Knightmare! → Strange Sports Stories (1°) #3 (2) (01/74) Pole Vaulting - Man Who Leaped Over The Earth! 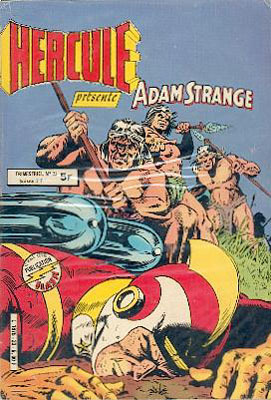 → Strange Adventures (1°) #67 (2) (04/56) Search For A Lost World! 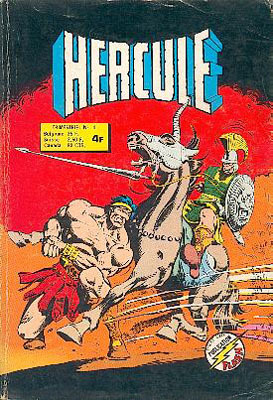 → Hercules Unbound #8 (12/76) Game! → Strange Sports Stories (1°) #2 (1) (11/73) Karate - Karate On The Moon! → Strange Sports Stories (1°) #2 (3) (11/73) Horse Racing - Tall In The Saddle! → Green Lantern (2°) #67 (1) (03/69) Green Lantern Does His Ring-Thing! 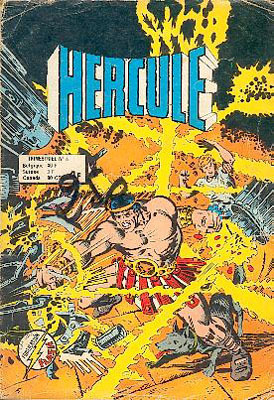 → Hercules Unbound #10 (04/77) Water, Water, Neverwhere! → Strange Sports Stories (1°) #6 (2) (07/74) Sailing - The Great Cross-Country Cloud Race! → DC Special #28 (1) (06/77) Batman - And The Town Came Tumbling Down! 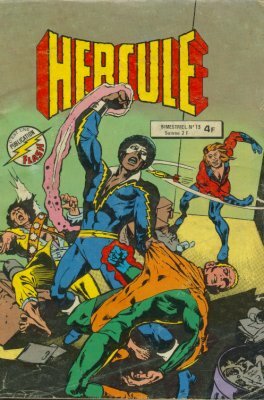 → DC Special #28 (3) (06/77) Legion Of Super-Heroes - The City That Stopped... Dead! → DC Special #27 (04/77) Captain Comet - Danger : Dinosaurs At Large! → Isis #3 (1) (02/77) The Wrath Of Set! 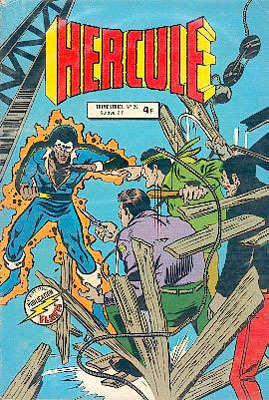 → Freedom Fighters (1°) #2 (05/76) Rampage ! → Shazam! #19 (2) (07/75) Mary Marvel - Secret Of The Smiling Swordsman! → Wonder Woman (1°) #212 (06/74) The Man Who Mastered Women! → Super-Team Family #9 (1) (02/77) Challengers Of The Unknown - To Doomsday And Beyond! → Wonder Woman (1°) #213 (08/74) The War-No-More Machine! 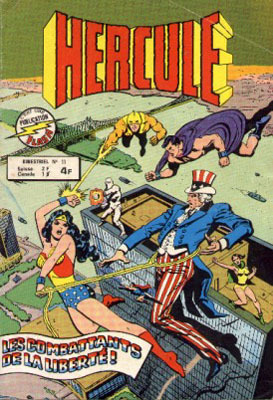 → Wonder Woman (1°) #210 (1) (02/74) The Golden Women & The White Star! → Mystery In Space (1°) #46 (1) (09/58) Mystery Of The Moon Sniper! → Freedom Fighters (1°) #6 (01/77) Witching Hour For The Warrior Wizards! → Wonder Woman (1°) #101 (2) (10/58) The Fun House Of Time! 4/ Les cosmiques qui pillèrent New York ! 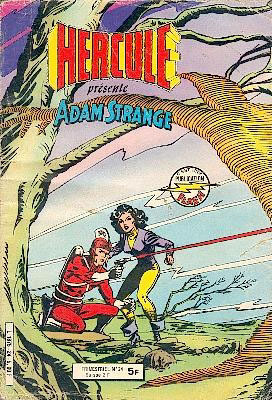 → Strange Adventures (1°) #133 (3) (10/61) The Immortal Spaceman! → Freedom Fighters (1°) #8 (05/77) D-Day At Niagara! → Freedom Fighters (1°) #9 (07/77) Blitzkrieg At Buffalo! → Freedom Fighters (1°) #11 (11/77) Divided We... Die?? 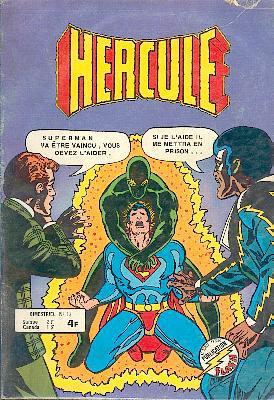 → Black Lightning (1°) #6 (01/78) One Man's Poison! → Showcase #94 (08/77) Doom Patrol - The Doom Patrol Lives Forever! 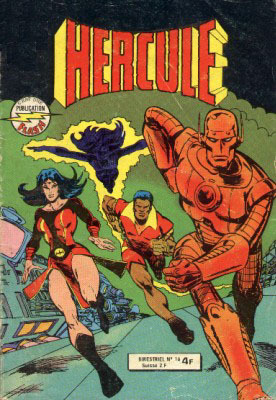 → Showcase #96 (12/77) Doom Patrol - Defection! → Star Hunters #4 (04/78) First Blood! → Tales Of The Unexpected (1°) #87 (3) (02/65) The Truth Binoculars! 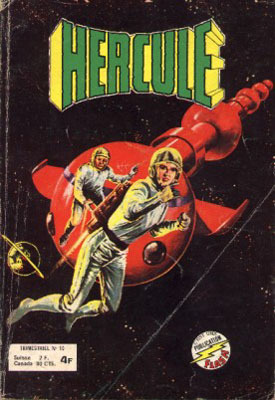 → Mystery In Space (1°) #77 (2) (08/62) Star Rovers - Where Was I Born... Venus? Mars? Jupiter? 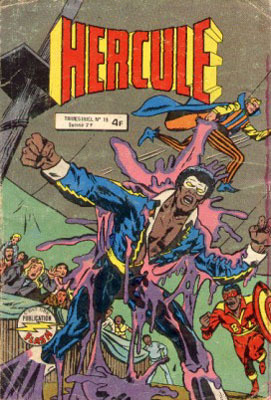 → Black Lightning (1°) #11 (1) (09/78) All They Will Call You Will Be... Deportee! 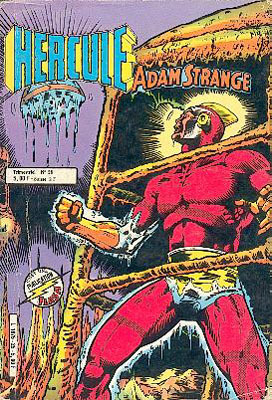 → Strange Adventures (1°) #203 (2) (08/67) Split Man - The Split Man! → Adventure Comics (1°) #469 (1) (03/80) Starman - Death In A Dark-Starred Void! → Detective Comics (1°) #494 (6) (09/80) Black Lightning - Explosion Of The Soul! → Adventure Comics (1°) #471 (2) (05/80) Starman - Starman Must Die! → Adventure Comics (1°) #472 (1) (06/80) Starman - ...And Only One Shall Survive! 1/ "H" comme Héros - Pour sauver un monde ! → Adventure Comics (1°) #474 (1) (08/80) Starman - The Chains That Bind! → Adventure Comics (1°) #475 (2) (09/80) Starman - In Battle Joined! → Adventure Comics (1°) #476 (2) (10/80) Starman - Crown Or Coffin? 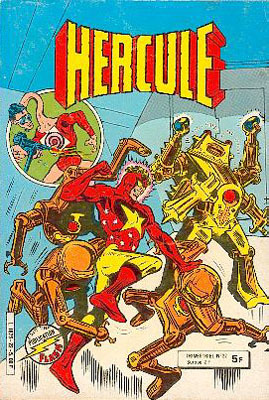 → Green Lantern (2°) #133 (2) (10/80) Adam Strange - Siege Of Ranagar! → Green Lantern (2°) #134 (2) (11/80) Adam Strange - Earth Ground! 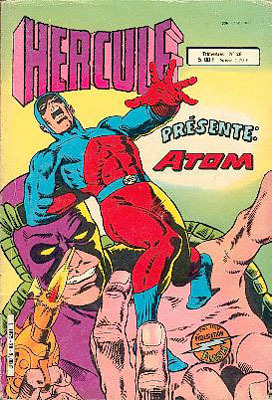 → Green Lantern (2°) #135 (2) (12/80) Adam Strange - The Zeta-Bomb Maneuver! → Adventure Comics (1°) #269 (2) (02/60) Green Arrow - The Comic Book Archer! 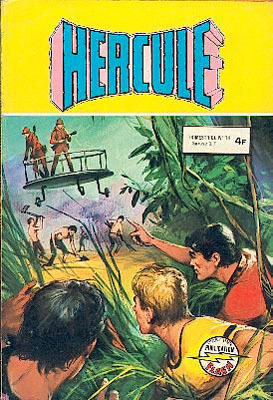 8/ "H" comme héros - La foudre sur Fairfax ! → Adventure Comics (1°) #477 (2) (11/80) Starman - The Search For Mn'Torr! → Green Lantern (2°) #138 (2) (03/81) Adam Strange - Alanna's New York Adventure! 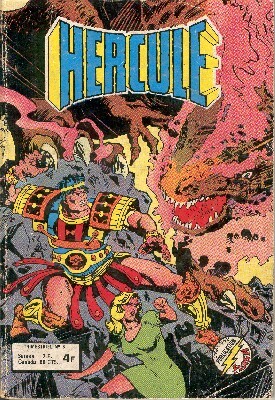 → Adventure Comics (1°) #481 (1) (05/81) Dial "H" For Hero - The Night Of A Thousand Dooms! 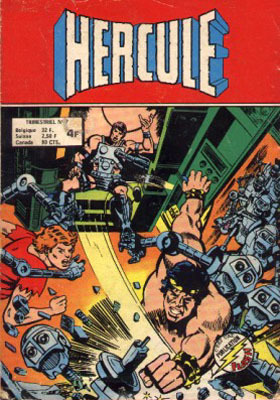 → Adventure Comics (1°) #481 (2) (05/81) Dial "H" For Hero - Self-Destructress! 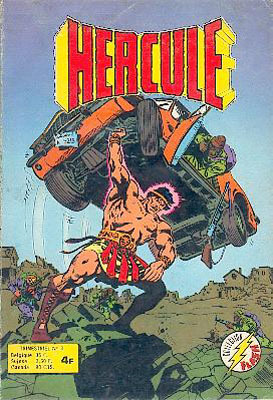 → Adventure Comics (1°) #481 (3) (05/81) Dial "H" For Hero - The Assault Of The Aquarian Attacker! 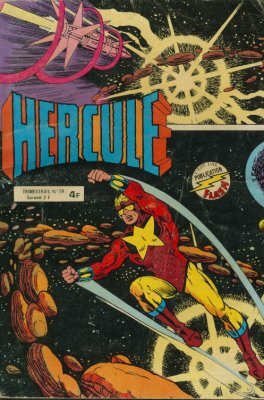 → Green Lantern (2°) #142 (2) (07/81) Adam Strange - The Crystal Peril! 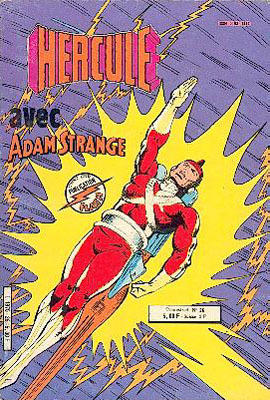 3/ Adam Strange - Hors-la-loi de Rann ! → Green Lantern (2°) #143 (2) (08/81) Adam Strange - Outlaw Of Rann! → Justice League Of America (1°) #178 (05/80) The Chess-Master Of Mars! 9/ H comme Héros - Prenez garde à la bête sauvage ! → Justice League Of America (1°) #181 (08/80) The Stellar Crimes Of The Star-Tsar! 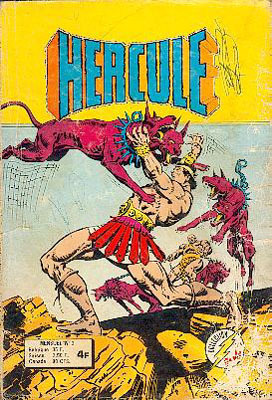 → Adventure Comics (1°) #485 (1) (09/81) Dial "H" For Hero - The Evil Eight! 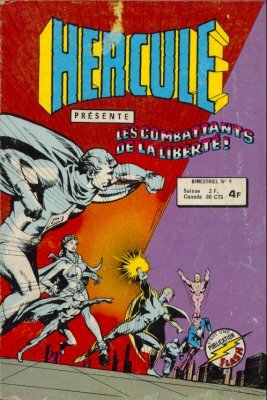 → Adventure Comics (1°) #485 (2) (09/81) Dial "H" For Hero - No Freedom For Fairfax! 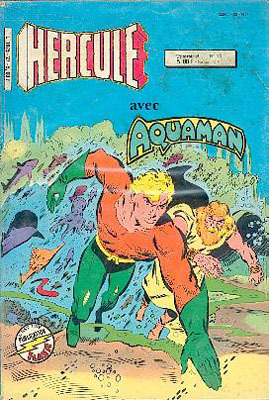 → Adventure Comics (1°) #478 (1) (12/80) Aquaman - Grand Illusion! 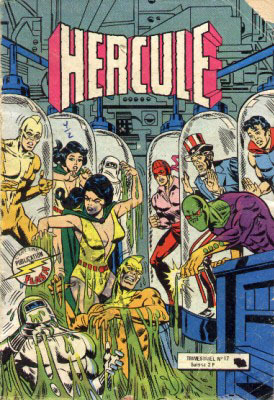 → Adventure Comics (1°) #486 (2) (10/81) Dial "H" For Hero - Here Come The Heroes! 6/ H comme Héros - Le feu et la glace ! 8/ Air Wave - Air Wave a un trou de mémoire ! 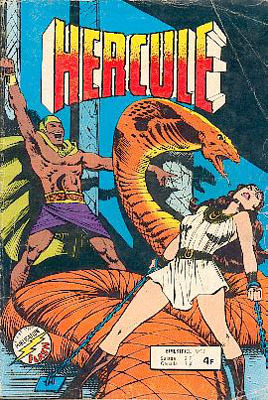 9/ H comme Héros - Charmer un serpent !